Illustrator and tattoo artist Barkha Lohia has created stunning art in Walking in the Wild for Pratham Books this year. Barkha lives in Gurgaon, Haryana. 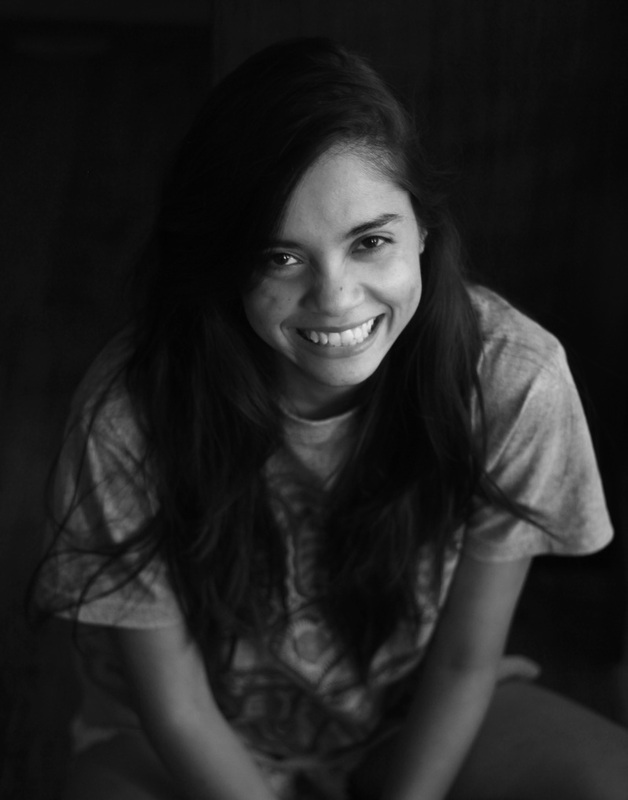 She loves working on morbid illustrations, tattoos, paintings of bird and trees and can be found drinking chai at any given time. She is currently working on a poem-based picturebook. In this short email interview, Pratham Books' Assistant Editor Zeba Imtiaz talks to Barkha about her illustration approach and inspiration. I take inspiration from everywhere, but mostly nature. I love reading, so that influences my work as well. Then there are events in your life and people around you that also flow back into the work. Sometimes it’s a conscious decision, sometimes it just flows - without much thought about what should be the subject or the output. We know that you are a tattoo artist as well. Could you tell us more about your journey as a tattoo artist - the decision to be one, what drew you to it, and so on? My maternal grandmother and paternal great grandmother had a lot of tattoos on their bodies. In India, communities have had a rich tradition of tattooing and the case was same here. As a child I was very fascinated with the ink on their body and would often ask them what it meant, or why they got it done. Growing up, shows like Miami Ink, LA Ink influenced me as well. The creative process of it all was really intriguing. How one took a concept and made something so personal for the client, to be permanently inked was very fascinating to me. Also, I really connected to this art form, I'd often keep doodling on myself or my friend's skin in school and college. I decided to go for it when I was working as an illustrator at my second job. I ordered a kit for myself to practice and decided later on to join a studio as well. It’s been great fun. 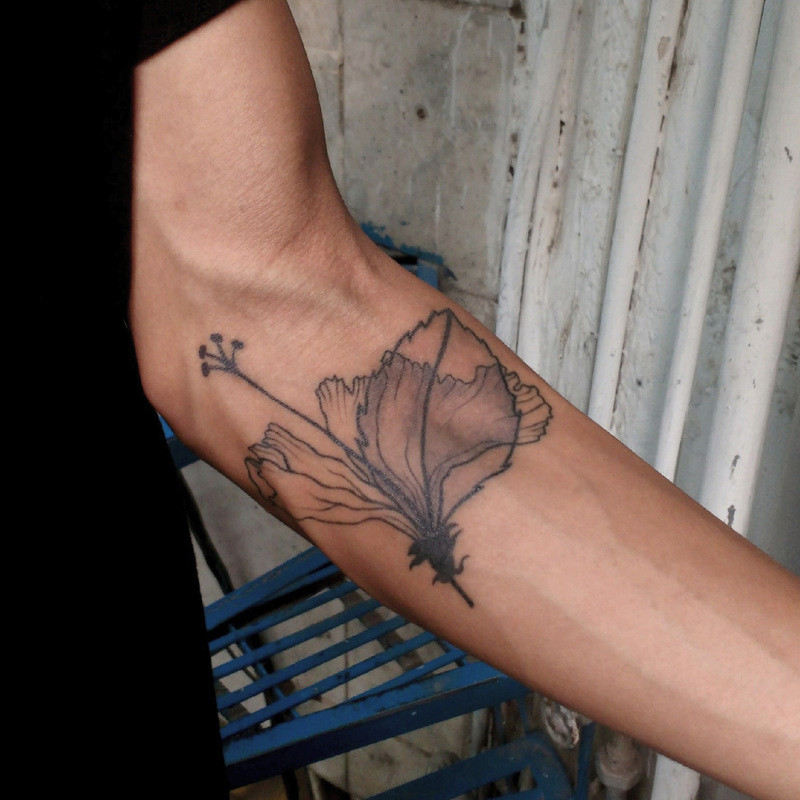 Do you find that your work as a tattoo artist influences your other work, or vice versa? I don't think it has till date. In my case, since I love working with nature - the theme has trickled down to the various mediums I use - be it tattooing or illustration. I also feel that I'm still experimenting and not really down to one style, so I think I have the liberty to go at different styles in different mediums. With tattooing, you have to keep some aspects in mind while drawing - with regards to what will work on a live canvas. So, it has its own limitations and set rules that are not there for traditional illustrations for books and such. Illustration on paper, digital illustrations are more freeing. Is this your first time illustrating for children? What do you most enjoy about illustrating for children, and what are the challenges? Yes, this was my first time illustrating for kids. I have worked on smaller projects before but not on a complete book. I learned a lot during the process and it was great fun. I remember as a kid, I would pore over pictures and paintings in books and really look at them for long hours. Simply in terms of story, what must this character be doing, why is this cat here in drawing, etc. I was just creating a different world altogether. And I think kids tend to do that. They will put more into text, drawing and story in more ways than we do. So, I was trying to create that. I can't say what works for them since this is my first time illustrating for them, but if asked to do something I'd probably make a completely wacky world for them, filled with strange characters, peculiar sights, familiar sights. They would connect more with a talking bird than we'd ever. I think my style would be like that. With this book, the challenge came with the brief to have a more realistic character rather than cartoony. So, mostly it was to get the real look of a forest and the ongoing events and to do justice to the story of Zakhuma. And still make it engaging for the kids. What kind of preparation and research went into illustrating Walking in the Wild? I was provided with a brief about the place and Zakhuma. I was given his picture and his daily activities and asked to make a character that was more realistic than cartoony. I developed the character of Zakhuma first and then later on worked on the surroundings of the forest. I looked through a lot of pictures and articles on Dampa tiger reserve and the forests in Mizoram to get a feel of the place. Same goes for the animals, birds in the story. 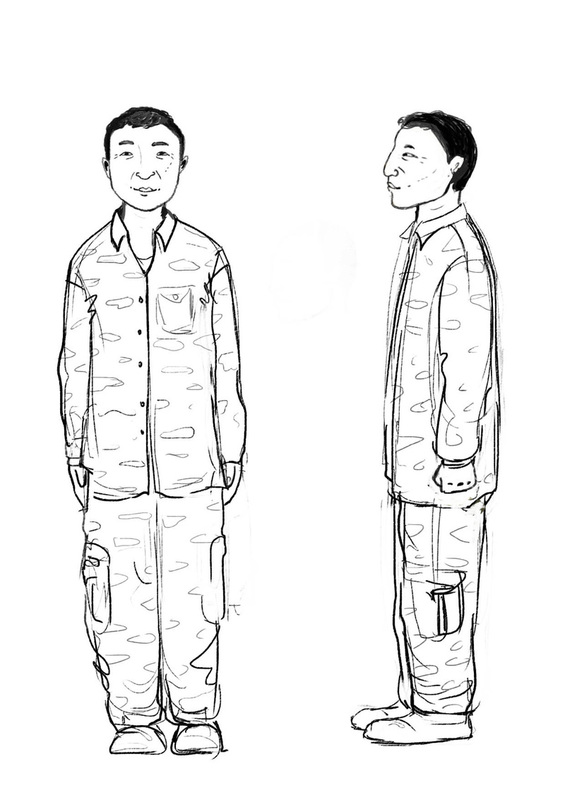 Rough layouts were then made for the pages, which were then discussed with the art director - for suggestions and iterations before working on the final drawing. Similarly for colouring in the pieces, some rough coloured layouts were shared with the Pratham Books team to collectively decide on which would suit the overall theme better. 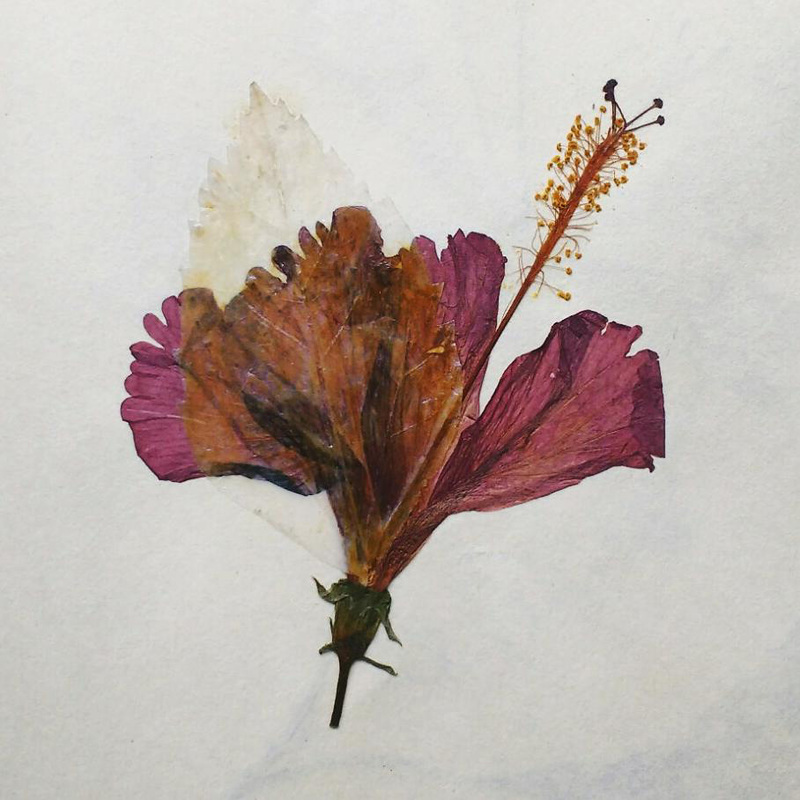 Walking in the Wild is filled with beautiful and detailed drawings of different animals. What did you most enjoy drawing? I really loved the scenes where different animal descriptions were to be given. 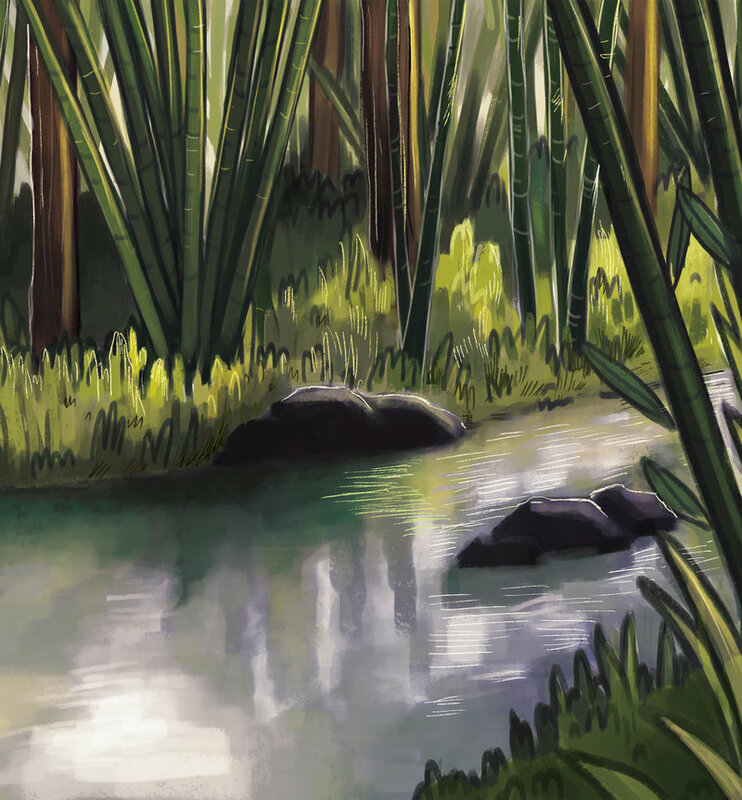 I particularly enjoyed illustrating the opening scene and the moonlit scene of the Dampa forest reserve. If you had to choose one medium for your art, what would you pick? I don't think I can decide on one. I love working with different mediums. Each lends a different feel to the work. That being said, I enjoy doing more hand drawn stuff than digital - be it acrylics, oil paints, posters etc. There are many! When it comes to picture books - Shaun Tan is someone I'm really inspired by. His work is phenomenal. Lots of tattoo artists as well - Dzo Lama, Balaz Bercsenyi, Sol Tattoo in particular. Lots of Indian artists - Hemlata Pradhan, Rajiv Eipe, Sajid Wajid Shaik, Abhishek Singh. There are many actually. I can only think of a few right now. Not well. I don't like that part at all. I think I take to binge watching T.V. series and books to get over it and walks. You can read Walking in the Wild on StoryWeaver for free. This is available in Hindi, Marathi, Kannada, Tamil, and English. When Pratham Books launched StoryWeaver two years ago and openly licensed all the content on the platform under CC-BY4.0, we had an inkling of the potential the idea had. In the last 24 months we have been blown away by the amazing ways our community members have used the power of open licensing to adapt the content on StoryWeaver to answer certain needs in classrooms and other learning spaces. BooksThatSpeak.com is one such initiative. 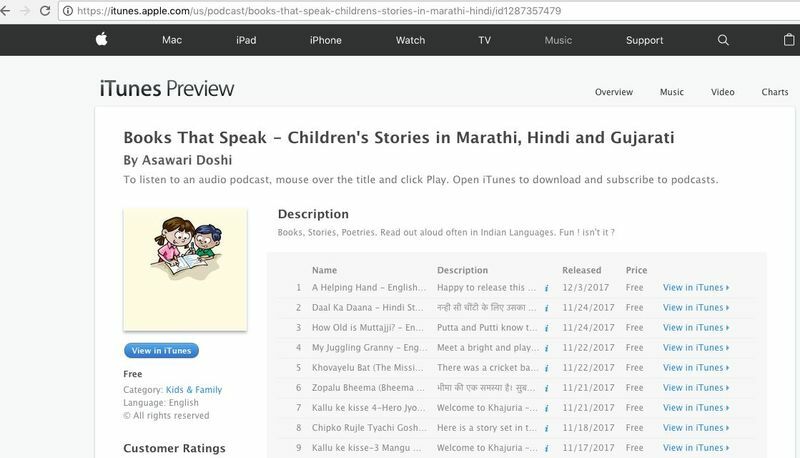 The platform hosts audio and video versions of children's stories in Marathi, Hindi, English and Gujarati. Many of the stories are from Pratham Books. Asawari Doshi, who runs the platform lives in Pune with her husband and two daughters and works part-time on reading and creating audio and video versions of stories for BooksThatSpeak.com. A: My aim behind starting this initiative was to create a medium through which more kids can listen to and read the fantastic stories that are published by Pratham Books. I currently read out books in four languages that I am familiar with (Marathi, Hindi, Gujarati and English). But wait, my daughters (age 9 years and 4 years) and my niece (3 years) also are part of the Books That Speak team. You will hear their sweet little voices at the beginning and at the end of the stories, along with their signature tunes. Q: How did you discover the StoryWeaver platform? I got introduced to the lovely books published by Pratham Books around 6 years ago when my daughter brought some books home from her school library. I (even more than my kids) have been in love these books since then. We must have around 30 books published by Pratham Books in our little book cupboard at home! From Pratham Books website and blog, I got to know about the StoryWeaver platform around 2 years ago. I was so happy to know that so many of these books are now freely available for everyone to read and also to re-purpose in multiple ways. Q: What made you want to create audio versions of the books and make videos with them for YouTube? Initially, I started creating audio versions of the books but as I read the books, I felt that the creative illustrations add so much to the experience so that's why I started creating video stories as well using the illustrations. I must say that I personally enjoy the process of selecting which book to read next. As part of this process, I get to read to a lot of books from the StoryWeaver platform. All of the books are so good, that it makes the decision making very hard :) but I am not complaining because I get to read all these fantastic books. Q: Where does your love for storytelling come from? My background in in IT. But, I have been an actor in amateur theatre in my village in Konkan for many years. I think that may have been my accidental training in storytelling. Also, thanks to the inspiration from my father, ever since I was a child I used to read lots of books. I also remember that as a child I used to be mesmerized listening to Pu La Deshpande (A renowned Marathi author and my personal favourite) reading out and enacting his books. I think I might have picked up the liking for reading books aloud from those early years. 5. Do you have any plans for taking these stories to children? As of now, Books That Speak are available as podcasts on the several platforms like iTunes, Sticher and Player.fm. The stories are also available as videos on our YouTube channel. I read stories in Marathi, Gujarati, Hindi and English. In future, I would love it if I can find other volunteers who want to join BooksThatSpeak.com and read out stories in other languages like Bengali, Urdu etc. I hope to connect with government schools so that they can download and play these audio or video stories for children in their schools. 6. What kind of feedback have you received from the online community for your recordings? I am getting to hear a lot of positive feedback from the children and their parents for these stories. I think though that most of the praise really is deserved by Pratham Books, StoryWeaver and the authors, translators and illustrators who have created these books and made their work Open Source. "Aunty, I love these stories! Why do you record only one story every day, start recording 2 or 3?" "Beautifully narrated stories. The changes in voice for different characters make the stories a lot of fun." "My kid's goodnight sleep starts with these stories, thank you Asawari!" "My child loves the stories and enjoys the ae-roo-waao-ee signature tune at the beginning and end of the stories"
"These audio stories are very helpful to keep kids engaged during long travels. It's much better than them playing games on the phone all the time"
Here's a photo of me reading my favourite Pratham Books to my daughters! Thank you Aswari for this wonderful platform and taking the joy of reading to more children with your efforts! If you'd like to get in touch with Asawari head over to BooksThatSpeak now! Are you using StoryWeaver content in interesting ways? Write to us at storyweaver@prathambooks.org and tell us so we can feature you on our blog. Radhika Oberoi writes for The Wire on how platforms like African Storybook are helping children overcome academic difficulties by making culturally specific stories borderless. She also mentions StoryWeaver and Pratham Books' 'Missed Call Do, Kahaani Suno' campaign. 'But before a story can be uploaded, downloaded, translated and shared, it has to be written. Among the ASb’s inexhaustible source of narratives is an Indian publisher of children’s literature, Pratham Books. Several original titles like Listen to my Body, The Moon and the Cap and The Elephant Bird have found their way to the ASb and captured the fascination of young readers across continents. Pratham Books’s own digital initiative, StoryWeaver, is a treasure trove of multi-lingual books, which, through a liberal Creative Commons licence, allows users to share and adapt stories as well as images in any medium. There are close to 1,800 stories, available for reading and sharing in 41 Indian and international languages. 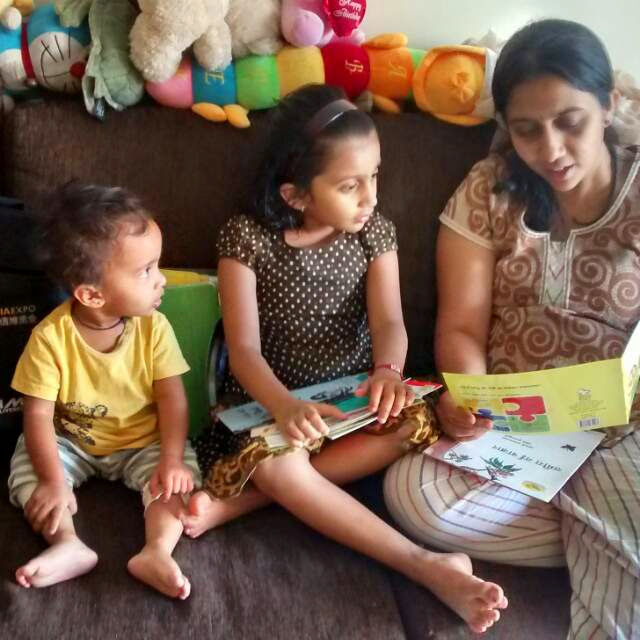 “While our Hindi and English stories continue to be very popular, we have seen the user community respond with great enthusiasm to Malayalam, Sanskrit, Telugu and recently, Tibetan and Santhali as well,” says Suzanne Singh, chairperson of Pratham Books. A curated collection of African Storybook's stories can be found on StoryWeaver here.